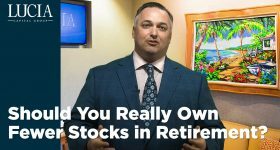 Ask any finance professor, retirement researcher or astute financial and estate planner and they will tell you that one of the most important, yet under-managed risks facing retirees today is the possibility of having to drain their retirement accounts in order to pay for long term care. Considering there’s a one-in-96 chance of your house being damaged by fire, and a one-in-five chance of your car being damaged in an accident (2004 Field Guide National Underwriter), seven-in-ten people age 65 and older will be saddled with costs associated with what are called the activities of daily living at some point in their lives. Those include bathing, continence, dressing, eating, toileting and needing help transferring in and out of bed, a chair or wheelchair. According to the 2016 Genworth Cost of Care Survey (Genworth 2016 Cost of Care Survey, conducted by CareScout®, April 2016), a semi-private room in a nursing home in 2016 was just over $82,000 annually and a private room was in excess of $92,000, which may explain why most of the care for those in need takes place in the home and is provided by a family member. The Family Caregiver Alliance (FCA) estimates 44 million Americans age 18 and older provide unpaid assistance and support to older people and adults with disabilities. The cost of this unpaid labor force is approximately $306 billion annually. 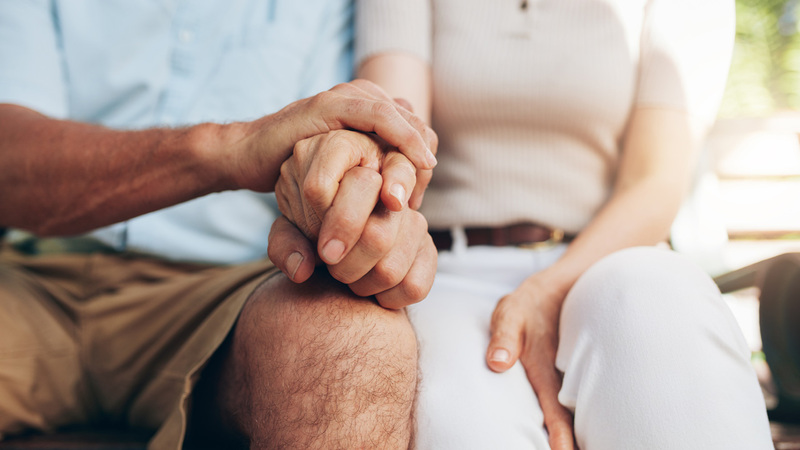 Unfortunately unpaid caregivers who spend precious hours helping others typically end up both financially stressed and sick themselves, likely placing an enormous burden on other family members, creating a potential vicious cycle of dependency. In a recent publication the ACA stated “a substantial body of research shows that family members who provide care to individuals with chronic or disabling conditions are themselves at risk. Higher levels of stress, anxiety, depression and other mental health effects are common among family members who care for an older relative or friend.” Worse yet elderly spouses aged 66-96 who experience caregiving-related stress pay the ultimate price with a 63% higher mortality rate. Estimates show that between 40 to 70% of caregivers have clinically significant symptoms of depression, with approximately one quarter to one half of these caregivers meeting the diagnostic criteria for major depression. FAC reports an estimated 66% of caregivers are employed, married females, the average age of which is 49. In addition to their potential decline in physical health,women caregivers also suffer significant financial consequences. According to Fidelity “Women caregivers are likely to spend an average of 12 years out of the workforce raising children and caring for an older relative or friend. Unfortunately caring for a loved one is likely to come at a time when the financial burden of children’s college costs are clearly in focus. In addition to the physical costs of providing a family member long term care such as paying for prescription medications, making the home wheelchair-compatible, doctor visits and other miscellaneous expenses, caregivers suffer significant costs to their own long term financial security. One national study on women and care giving (Zarit, S. (2006), Assessment of Family Caregivers: A Research Perspective) highlighted the conflicting demands of work and eldercare. The study found that 33% of working women decreased work hours, 29% passed up a job promotion, training or assignment, 22% took a leave of absence, 20% switched from full-time to part-time employment, 16% quit their jobs and 13% retired early. The projected 41% reduction in paid work hours by middle aged women caregivers (Alzheimers Association & National Alliance for Caregiving(2004)) obviously leads to significantly lower social security benefits and dramatically reduced pensions, 401(k) and matching contributions. According to JAMA (Long-term care placement of dementia patients and caregiver health and well-being, 2004) the cost impact of caregiving on the individual female caregiver just in terms of lost wages and Social Security benefits equals $324,044. 84% of Americans have had at least some experience with nursing homes either as a patient or a visitor, and 46% say a family member or close friend has been in a nursing home in the past three years (Senior Journal, July 2005). The frightening statistics supporting the need for some kind of long-term care solution are stunning, yet surprisingly most Americans avoid the simplest remedy of all; purchasing long term care insurance (LTCI). In fact the sale of traditional long term care policies has been on the decline, perhaps the result of rising premiums due to higher utilization and the lower interest rates insurance companies are earning on their fixed investments. Some insurers have clearly recognized the need for coverage and the aversion individuals have to paying the high costs of traditional LTC policies. Many are now offering attractive alternatives that help make the costs for LTCI far more palatable. This, along with a fairly recent IRS ruling, may be providing a needed incentive to get people to act. On January 1, 2010, the Pension Protection Act’s (PPA) long-term care benefits took effect making annuities a very attractive vehicle to help fund long term care costs. Prior to the PPA, annuity holders had to pay income taxes on all of the growth inside the contract at ordinary income rates before paying for long-term care expenses. But now individuals can use the tax-deferred growth in the contract to pay for qualified long-term care costs, typically free from federal income tax. As an added benefit certain companies have riders that double or even triple the premium amount if there is a need to pay for qualified long term care, while still offering principal protection and a guaranteed minimum interest rate. 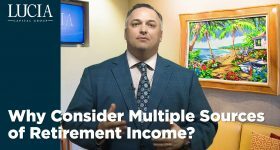 Thus, if an individual were to invest say $100,000 in one of these special annuity contracts, there could be as much as $200,000 to $300,000 in a pool (paid out at a monthly maximum) to help cover their potential joint need for long term care. And 100% of the benefits paid for the qualifying care would come out of the contract tax- free. There is usually no medical exam required and the underwriting is tantamount to simply answering just a few health questions and perhaps a short memory test. As a result a very high (95% with one company that I know of) percentage of applicants get approved. While the interest rate credited inside the annuity contract will most likely be somewhat lower than investing in tax free municipal bonds, it would take 24 years to double one’s money and 38 years to triple it in a 3% yielding tax-free municipal bond portfolio. That’s well beyond the typical retiree’s life expectancy. There are several ways one can benefit by utilizing this unique financial strategy. The one that seems most logical is to simply replace the emergency fund in your portfolio with a double or triple your premium annuity. Most emergency fund money sits in the bank at little or no interest for years anyway and whatever the interest rate, it is subject to federal and possibly state income taxes. The potential emergency, if there is one, is likely health-care related. In this example qualifying expenses can be paid out tax-free until two or three times the money invested is used up. A significantly better result than a savings account. 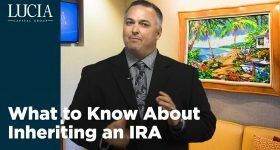 Another potential use for this type of annuity contract is to 1035 exchange an existing annuity or life insurance policy with built in tax-deferred gains, but without these supplemental benefits. 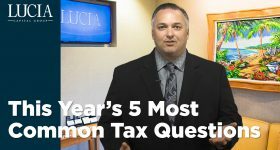 Again, all of the deferred gains along with the principal (as well as the enhancements), will come out of the contract tax-free if paid for qualifying long term care expenses. The trade-off between earning a slightly higher interest rate on your long term savings (probably not higher at all on your short term emergency fund) without the benefit of long-term care coverage, compared with the possibility of both your and your spouse’s potential decline in personal health, life expectancy, and financial security (especially if one spouse is caring for the other) makes the innovation of this type of annuity contract, as well as other alternatives, a must in your review of options when discussing LTC with a qualified financial advisor. Annuities are long-term investment products designed for retirement purposes. Guarantees are based on the claims-paying ability of the underlying insurance company and assume compliance with the product’s benefit rules, as applicable. Early withdrawals may be subject to surrender penalties and, if taken prior to age 59½, may be subject to an additional 10% federal tax. Annuities are not FDIC insured. Certain terms and conditions apply, so please read insurance company materials carefully. For costs and further details of the coverage, including exclusions, any reductions or limitations and terms under which the contract may be continued in force, talk to your agent. Products and features are subject to state variations and availability. Repositioning of assets from an existing product may not be suitable for all clients. Benefits are subject to a maximum monthly benefit. The additional coverage in excess of the contract value is only available to use for a qualified long-term care benefit and will not become part of the contract value or the death benefit. Withdrawals, other than for qualified long-term care expenses, will adversely affect the amount of coverage for long-term care benefits in the future.